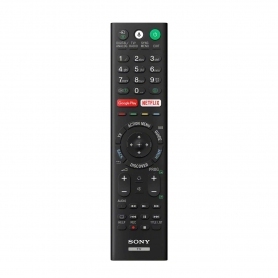 Experience a whole new level of TV picture quality and a host of extra online features with the Sony KD43XE8005BU. 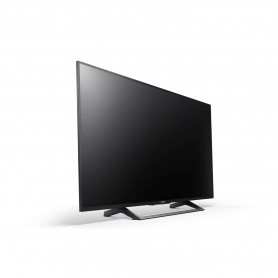 The Sony KD43XE8005BU features the best TV technology for top-quality imagery – nothing at all has been compromised. 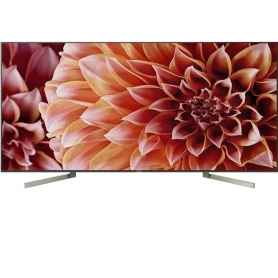 4K High Dynamic Range (HDR) resolution delivers true-to-life colours and realism unlike anything before. Featuring the latest 4K X-Reality™ PROEngine, this Sony TV upscales every pixel for a sharper, clearer and smoother picture, no matter what you are watching. Motionflow XR 200Hz improves the picture even further, preventing blurring or jarring between frames. 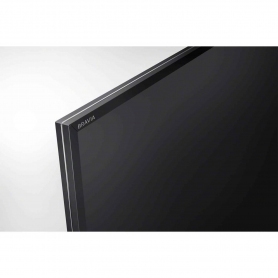 Televisions have come a long way from black and white, and now, even conventional white LED monitors are being left behind. Sony’s Triluminous Display technology expands the range of colours on your TV, delivering real world colours that are rich and vivid. To add to that cinematic feel in your living room, the Sony KD43XE8005BU TV has been built with a Bass Reflex Speaker. This speaker is built into an isolated box, delivering punchy bass while maintaining high-quality detail and clarity – perfect for movies, sport and music. 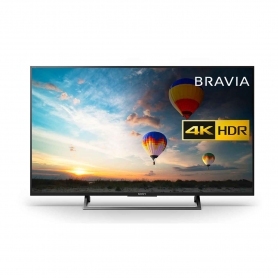 The Sony Bravia KD43XE8005BU is powered by Android, so you can explore a world of top quality entertainment. This includes Google Play Movies, YouTube and Netflix, all at your fingertips, and all on the 43 inch UHD screen. Been having trouble recording your favourite shows? You’ll never have to worry again – the built-in YouView service offers BBC iPlayer, All 4, ITV Player, and Demand 5, so you can always catch up at the press of a button. Navigate your way around a plethora of films and TV shows using the simple scroll menu. Or, if you prefer to watch real-time TV, take advantage of Freeview HD which offers a choice of 15 HD channels. Looking for films with a particular actor? Using Voice Search, you just need to say their name, and you’ll be presented with a choice of their films. It also means you’re in total control of your TV’s functions, so when the remote is stuck behind the sofa, you’ll only need your voice to change the volume. Entertainment has never been more convenient. 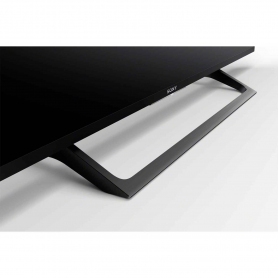 This fantastic Sony TV will let you create your own home entertainment system. With four HDMI and three USB connection points, you can connect all the devices you’d like, to create the ultimate home entertainment system. If you’d like to enhance the TV’s sound, why not invest in an additional soundbar? Or, if you’d prefer to use the TV alone, you can rely on a 2 x 10 W sound system. The KD43XE8005BU also supports a range of sound formats including DTS Digital Sound, Dolby Digital, Dolby Digital Plus and Dolby Pulse. 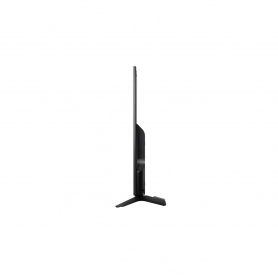 To make it even easier to share your digital content, you’ll find built-in Chromecast and Wi-Fi on this Sony TV. At the press of a button, you can hook up any external device on your home network. There’s even clever cable management, so your TV is less noticeable for an optimal viewing experience. 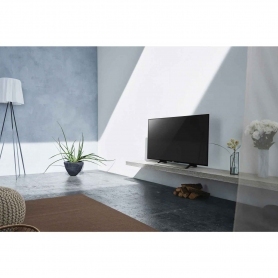 There are lots of features packed into the sleek black KD43XE8005BU TV from Sony – perfect if you’re looking for top quality home entertainment. It also comes with a desktop stand – order yours today.